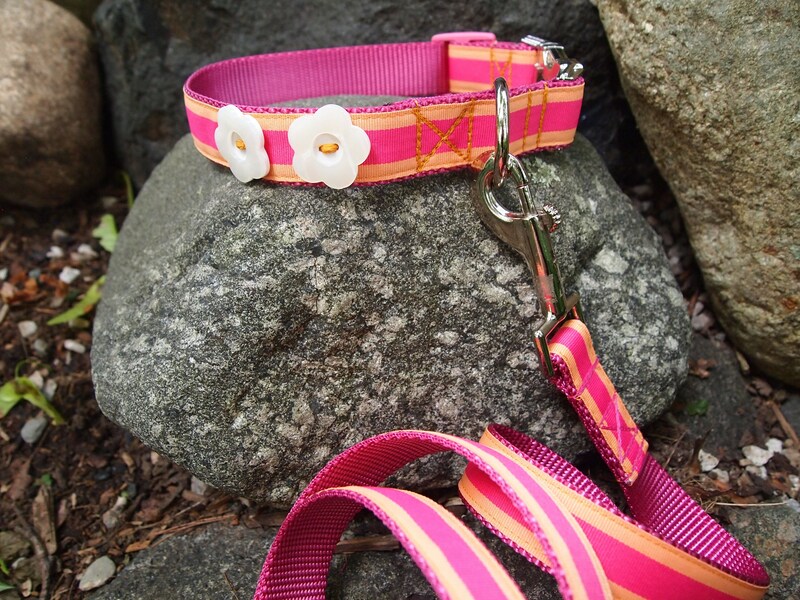 You will "WOW" on the sidewalk with your furry BFF in this smart and bright preppy pink stripe dog collar and matching leash. 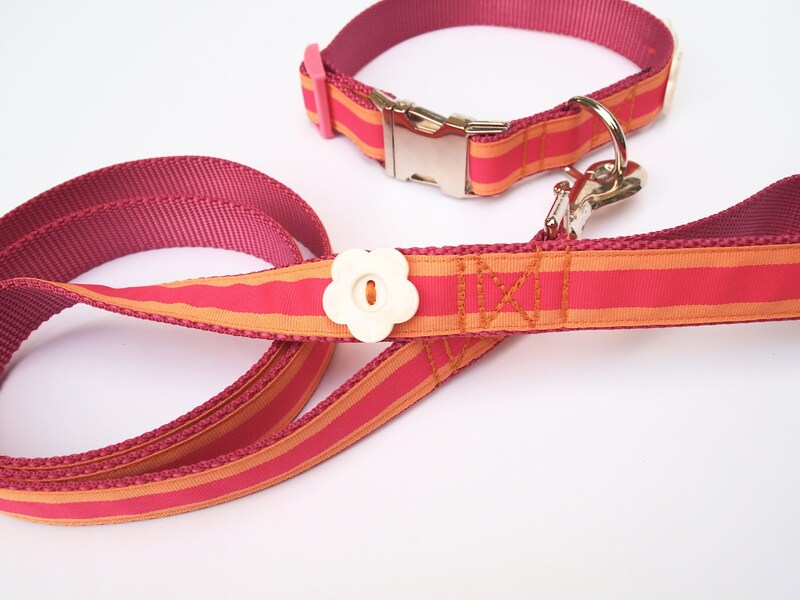 Cheerful orange and pink striped grosgrain ribbon is sewn onto strong pink 1 inch nylon webbing and completed with pink tri-glide slide and shiny nickel contour side release buckle and d-ring. Two graphic white flower buttons add fun detail. 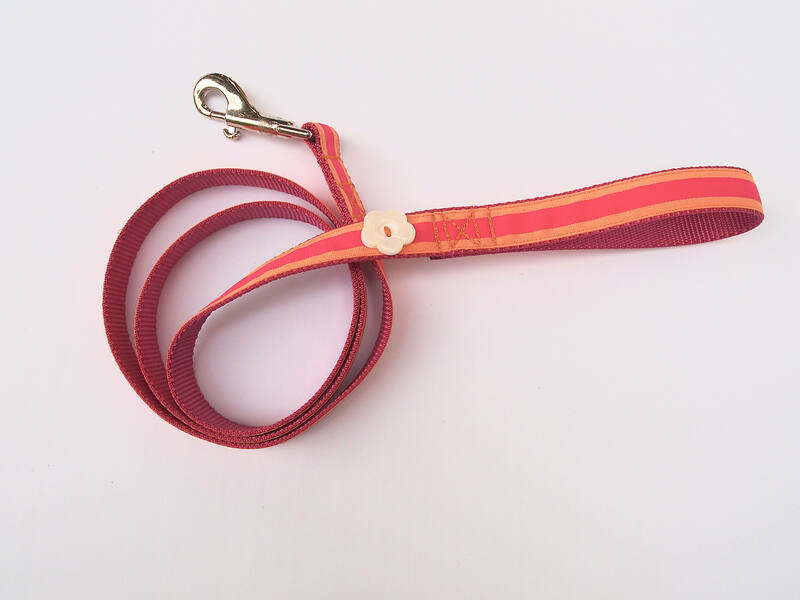 56 inch leash, perfect length for walking, not too short and not too long, is comprised of the same bright grosgrain ribbon and ends with a nickel snap hook. 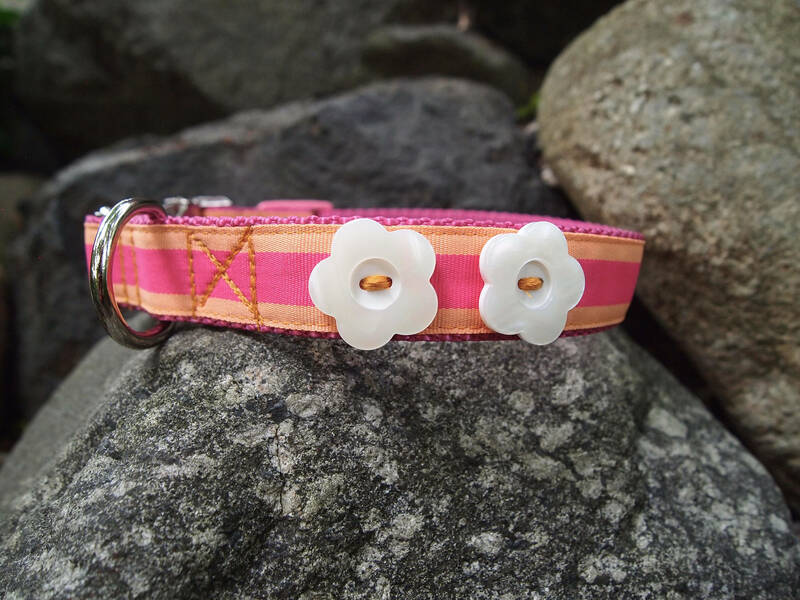 Cute white flower button decorates matching leash at leash handle. 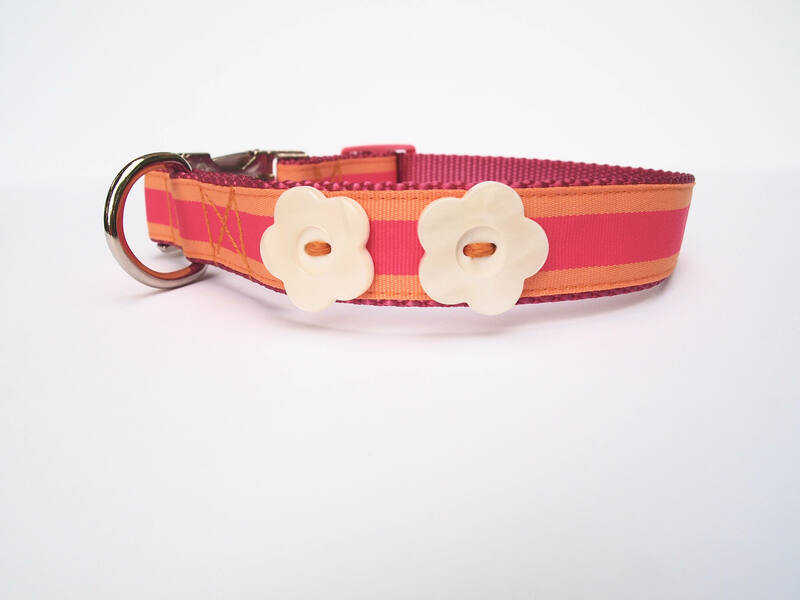 Choose medium collar (extends to 18 inches) or a large collar (extends to 24 inches). Your dog isn't boring, why have a boring collar and leash?